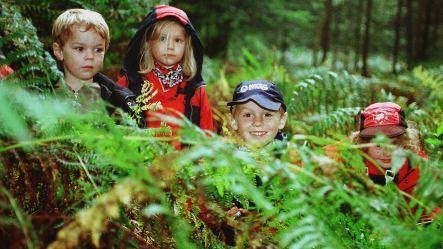 Here’s our pick of the best activities on offer in and around Epsom this month. 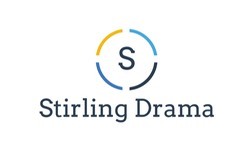 There are lots and lots of drama schools available to children but not for adults and so I want to change that and offer something for adults. Who said it should be children having all the fun? 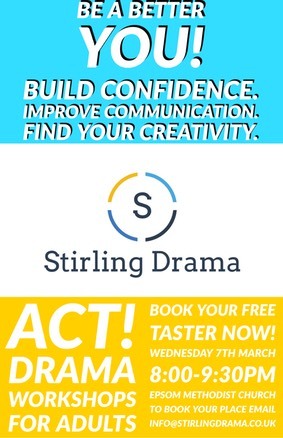 Stirling drama offers workshops on a Wednesday evening from 8:00-9:30pm at Epsom Methodist church and are currently offering a free taster session on Wednesday March 7th. Library storytimes are aimed at two to five year olds and provide a fun and enjoyable introduction to books and libraries for young children. Library rhymetime is aimed at babies and toddlers, aged 0-18 months, along with their parents and carers (although older toddlers are also welcome). Based entirely on sharing nursery rhymes, action songs and percussion music. It’s fun, interactive and noisy! This ever-popular market has around 40 stall holders bringing you the freshest produce and more. We are Running a mixed age group session for the day on Wednesday the 26th. The session is a drop off session in the middle of half term. The cost of the session costs �35 and we will be doing things like Cooking, Craft Work, Hanging around in trees, playing games and generally having lots of fun. A day in the woods for the Tweenies 12+. This day will include Team Cooking sessions where Lunch and dinner will be prepared and cooked as a group. We will look at Tracking Trailing and sign, tracking down someone lost in the woods and communicating with walkie talkies. Rugbytots�is a fun and dynamic pre-school play programme designed to build confidence and enhance core skills for 2 - 7 year old boys and girls.�We look forward to meeting you and giving you a fun and friendly introduction to rugby in a positive and encouraging environment. Let’s make it more fun! Fully qualified teacher of Spanish offers private tuition for all levels up to GCSE or A levels. Students who are falling behind and struggling to catch up with their class will be given support to progress beyond their predicted grades. I have experience with all range of students from the majority of our local primary and secondary school. “The hesitancy and lack of confidence that held her back is gone. �Now she tries new things with relish. �She counts the days until she can come back here!” �Explore Parent. You may not expect children to be this enthusiastic about maths and English, but�Explore Learning�centres across the country are providing inspiration to 5-14 year olds of all abilities. As members, children work with tutors who are great role models, enthusiastic about learning and excellent motivators. All courses map to the National Curriculum and the individual focus allows children to work at their own pace – whether they are finding school tricky or they are top of the class! 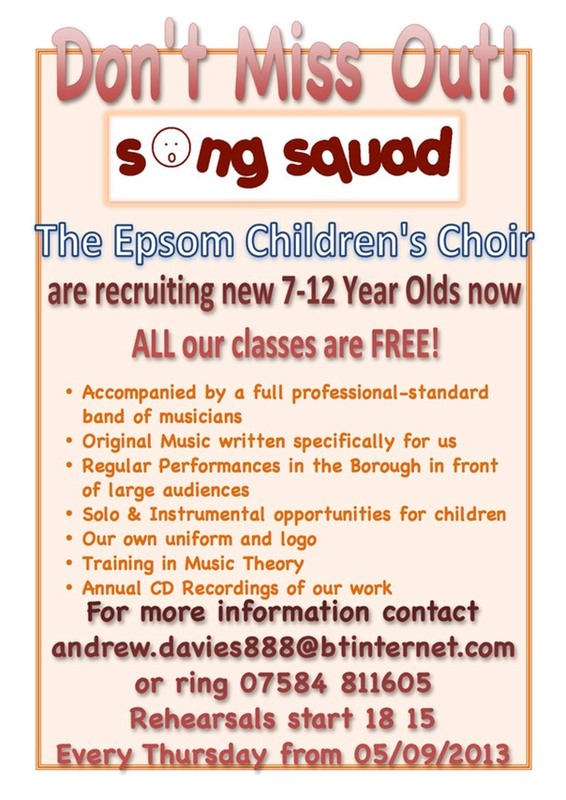 To find out more visit our website www.explorelearning.co.uk or call your local Epsom centre on 01372 722994. For mums in business or with an idea to start a business to come and meet, have a drink, chat, soundboard your ideas and promote yourself and meet other mums in business you may be able to support, work with. Please pass the word around, let your friends know and if you would like to come, you could contact us�or just turn up!� Contact us via�info@localmumsonline.com�for more details. After extensive refurbishment from Heritage Lottery funding, this stunning house reopens with lots of great activities for children and fascinating local history exhibits. Read Carshalton Mums’ news story. The park has a network of footpaths, including many with wide smooth surfaces suitable for pushchairs and wheelchairs. Design your own circular walk taking in the river, the water mills, the rose garden, the meadows or the wetlands. Check out Deen City Farm for goats, sheep, cows, pigs, alpacas, geese, ducks, chickens, rabbits, horses, guinea pigs and ferrets. Deen City Farm also do horseriding lessons – check their website for more details. Tue-Sun, closed Mon (except Bank Holiday); 10am-4.30pm; free, donations welcome. It's time to get gardening! EcoLocal have a wide range of new courses available�to teach you new skills including easy ways to grow and use herbs, gain knowledge about�keeping bees and hens or learn foraging and preserving skills. There is a course for you! Surrey and South West London's premier Pilates company. Mixed ability Pilates at Nork Community Centre, Nork Way, Banstead, SM7 1JB. 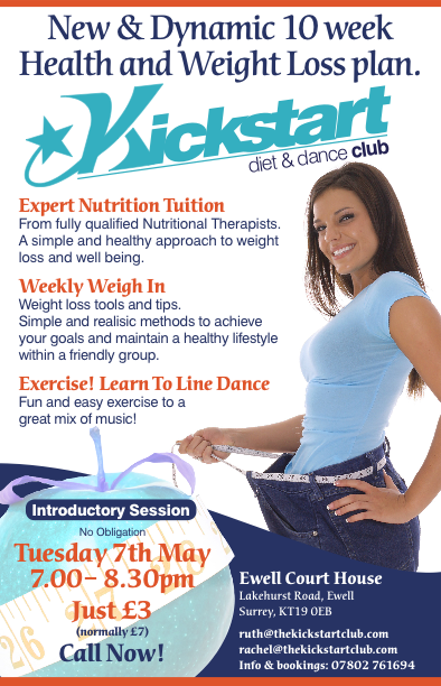 �7.50 per class, payable in advance by term, or �9.50 on the door. If there is space, people can join after a term has begun, paying for the remaining weeks in the term at the �7.50 per class rate. Pre-booking is essential. We have other Pilates classes running nearby, and are looking to add pre and post natal classes at our Sutton studio. Please visit our website for more details -�www.ParkViewPilates.co.uk�or call Lorraine on 020 8274 1572. For over 30 years the Museum of Farnham has run Museum Club, which gives local children the chance to make new friends, be creative and learn about history, archaeology, art and Farnham. Museum Club runs for 10 months from September to June, with no activities during the school Summer holidays. 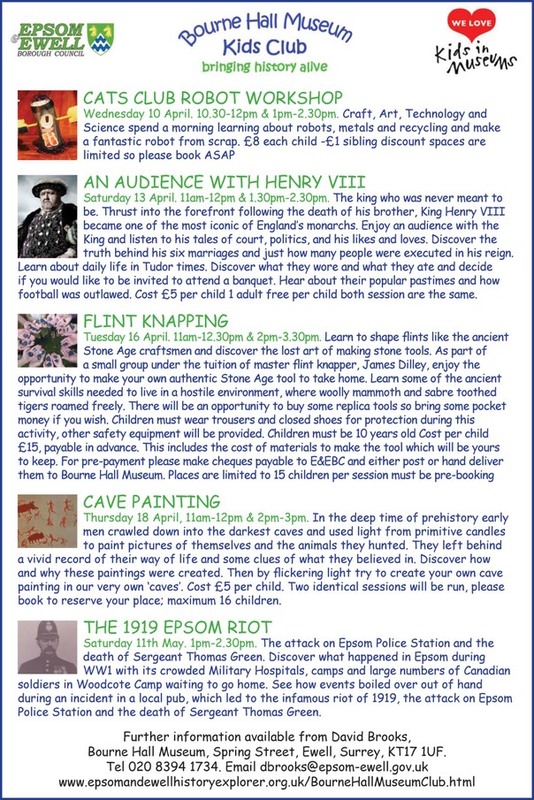 Our sessions vary, with activities taking place both at the Museum of Farnham and off-site at other local attractions including Farnham Castle, Wrecclesham Pottery and Farnham Park. 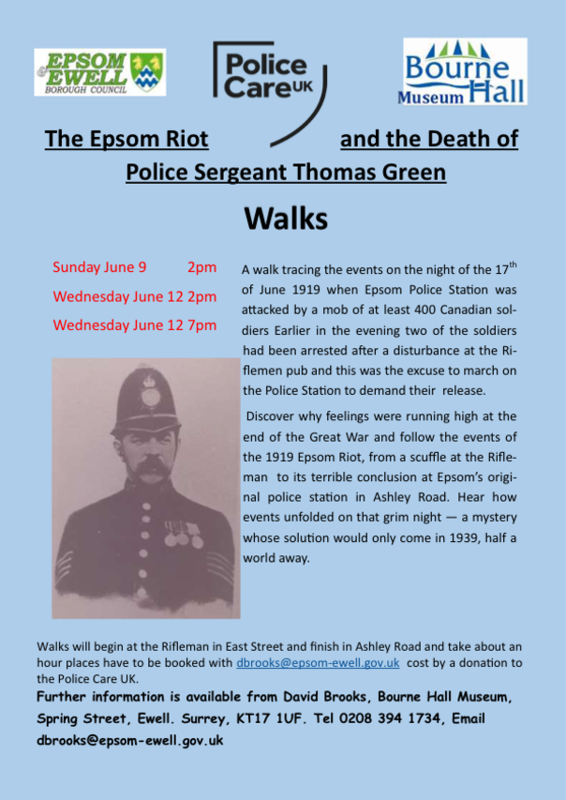 If you would like to register your interest please contact Liz May, Curator, on 01252 715094.